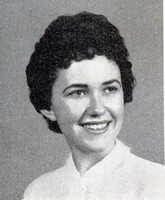 Kathleen V. Koch, 58, of Allentown, died Tuesday, Sept. 24 (1996), in her home. She was an insurance underwriter for the Intra Media Marketing of Allentown. Born March 15, 1938, in Easton, she was a daughter of the late Raymond and Lucille McFadden Stocker. She is survived by a son, Raymond S. Marra of Easton; and a grandson. A daughter, Jill O'Neil, died earlier. The family requests memorials to the Humane Society, 640 Dixon St., Allentown, PA 18103.